Hiker app for assessing damage quickly and often cars. The mandatory inspection routing that you set up yourself provides the reporting you need for a market-based charging and for repairing it when necessary you can easily do a workshop assignment. Do not let the settlement of a rental period go wrong. Improper, incomplete or overpriced reporting chases your customers away. Or worse; they tell others or their misfortune (social media). Nobody wants that. Do you not want customers disliking the settlement of damage(s)?Do you want returning customers? Give your hikers and intake points an app in which for every scratch ordent a real repair price is mentioned. The repair prices were set by the inspectos of AutoInspectie with the help of numerous specialists and remain well below the Audatax standard. Do you want something more specific in your situation? We will do so. Everyone knows that the online reviews are consulted for many consumer and business decisions. Drivers can indicate what they think of the settlement and thus you create loyalty and profit. You want driver switches to be done as quickly and easily as possible. Drivers also want that. And hikers too. Not every hiker completely knows his way around inspecting so the obligatory routing (set by you) helps enormously to always get equivalant ratings. 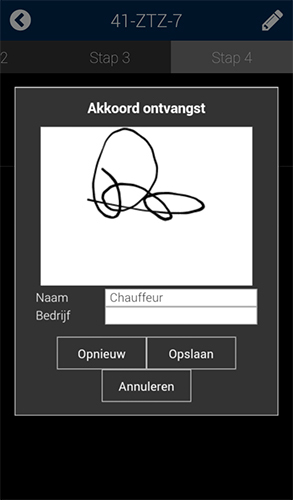 Because drivers immediately sign for the transfer and the drawn up report, it is easier to charge the costs of damage. The hikers will be happy that there is no need to know about repair rates and that with every order, complete instructions can be found on their smartphone. More autonomy, more transparency, more speed and more quality. It is of this era. In fact, your customers expect it from you. Knowing which car is where and when the expected arrival time is, that is the extra function of the platform linked to the hiker app. You can organise Pool Management and Planning. In addition to handling the inspection reports, you can plan workflows on it and manage repair orders. What it is to assess cars quickly and often for damage, the Hiker app is a godsend. The obligatory inspection routing that you set up yourself provides the reporting you need for a market-based charging and for repairs. You can easily do a workshop assignment. Hikers know where and when to collect which car and also have the details of the contact person on their smartphone. I the background, a planning module is active, so you know exactly where the car is and whether repair is needed. Control the driver switches with a central online dashboard. Always have insight on the complete inspection reports. You can organize the claims settlement almost real time.